A few days ago, Microsoft added BetaDwarf's collectible card game Minion Masters to the Insider Hub for players to test. Those playtest spots ran out incredibly quickly, but now more spots have become available for those who want to give the game a go before its full release. All players need to do is to launch the Insider hub on their console, go to the Insider content section, select Minion Masters, and click on Try Again or Join, depending on whether you've already tried to join the playtest. 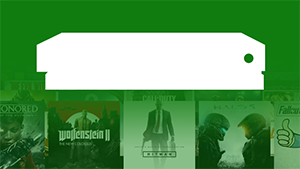 Once your registration has been completed, you'll be redirected to the Microsoft Store where you can install the game. Minion Masters is set in universe of FORCED. Players choose a Master and build a card deck ready to take on opponents in online real-time 1v1 or 2v2 battles. Each master has their own hero abilities and players can collect a range of minions that include "fierce demons, cute creatures, devastating spells and much more". There is no release window for the game to be released to all players worldwide, but as soon as we hear more, we'll be sure to let you know. We've got the full list of Minion Masters achievements - check the list for guides to unlocking them.